Leigh is a voice artist that I admire and respect. She has worked with actors and actresses that I respect as well. She has worked with actors who have passed on like Lorenzo Music, Bill Scott, and Paul Winchell. She has also worked with voice actors whom I currently respect like Jim Cummings, Joseph J. Terry (also credited as J. W. Terry), June Foray, and Nancy Cartwright. Currently, Leigh is teaching others how to voice act; showing them that voice acting is more about creating a character vocally rather than just doing a different voice. 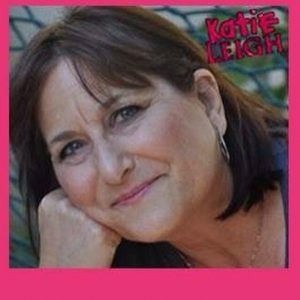 Katie Leigh is a vocal treasure with a versatile range and unique gift. Special thanks to Katie Leigh herself for providing the picture of herself for this post.